Born in Glasgow, after serving an apprenticeship with John Burnet he set up his own practice in 1879, at 227 West George Street, then moved to 112 Bath Street and, from 1895, was based at 92 Bath Street. During this period he designed several churches in the city. These include, Oatlands United Presbyterian Church (1881, dem. ); the competition winning St Albert the Great (formerly Stockwell Free Church), 153 Albert Drive (1886-7); Partick East Church, Milburn Street (1887) and the (former) Swedenborgian New Jerusalem Church, 174 Queen's Drive (1895-7). His secular buildings include the Headquarters and Drill Hall for the 3rd Lanarkshire Rifle Volunteers, 35 Coplaw Street (1884-5) and Rosemount Primary School, Milburn Street (1897). Also a Lieutenant Colonel in the 3rd Lanarkshire Volunteers, his other interests included football (he was President of the Glasgow Football Charity Cup Committee, 1909) and freemasonry (he was a member of Kilwinning Mother Lodge). His son, John Archibald Wilson (1880-1926), trained in his office and later became a partner, as John B. Wilson & Son. After their deaths, the firm was taken over by their former assistant James M. Honeyman, 1929, and continues today as Honeyman, Jack & Robertson. 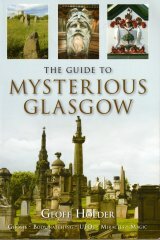 The Wilsons were buried together in Cathcart Cemetery, their graves marked with a Gothic monument incorporating mosaic and the symbol of the compasses, which identifies Wilson as a Freemason. Wilson designed the monument for his wife, Sarah Harrison, who predeceased him in 1896.